Introverts are really misunderstood, I’m busting up some myths about who introverts are and showing my pride in being one. Information on myths taken from Carl Kingdom’s website page 10 Myths About Introverts. 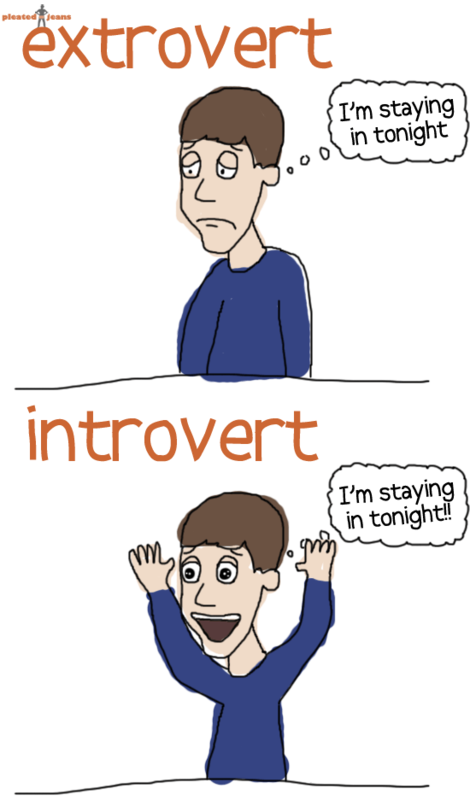 Introverts UNITE! An inferiority complex can make it difficult for some black women to date interracially, even worse someone else’s inferiority complex can make it impossible. Toni’s awesome article from Beyond Black & White ‘A Response to ‘Do You Want to Date A White Guy…?’ Article’ check it out she’s sharing knowledge. 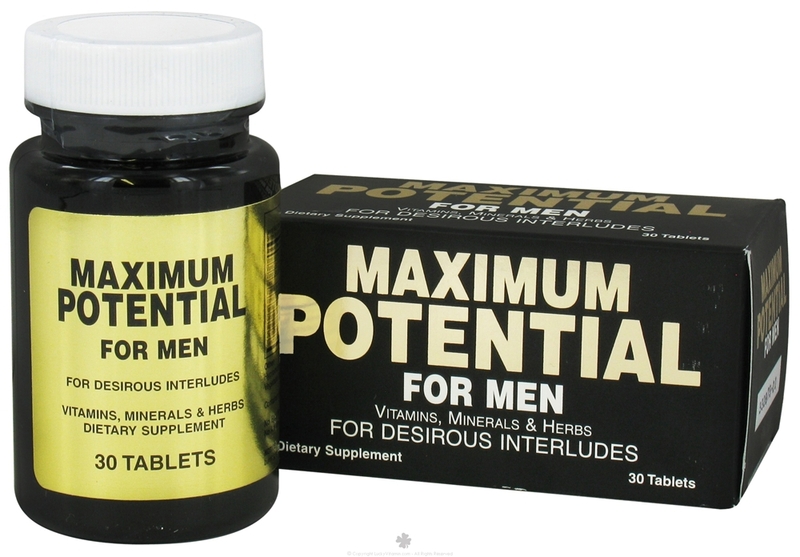 At a certain age it should be unacceptable for women to try to date or marry men with potential. I’ll be just giving some of my observations as a newlywed and the fun it entails. Last night as my husband cooked in the kitchen I found this on Pinterest and attached it to a text message and sent it to him. Then we proceeded to try to figure out who loves who more, I think it was a draw. But it’s fun to discuss who loves the other more, being a newlywed is fantastic. 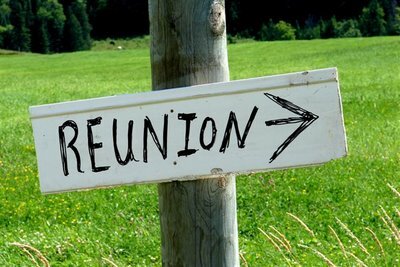 I’m going to my hubby’s family reunion this weekend, so going to meet a lot more extended family. How was it for you as a bw/non-bm IR couple when you met the family and/or extended family? What if He Has No Father? I’ve been thinking about what to write all weekend long and finally came up with this, particularly after Father’s Day. I’ve been thinking about my dad a lot lately, missing him he was such a good dad and although he passed when I was nine years old, he left a legacy for me and my brothers. My brothers are good dads, pretty good husbands but would they be that if they hadn’t had my dad. I know you’re wondering about the title, am I going to say if this is a good or bad idea. Well, I don’t like beating around the bush, I’m going to give the idea of marrying or dating a man who has no relationship with his father, a big NO! Why you might ask. Well, I’m no psychologist I’ve said that before, I just observe and when I observe I see patterns and in this case the pattern I see is not good. 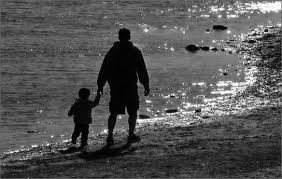 Boys need a dad, I don’t care if the mom and dad are divorced or separated, that child still needs a close relationship with his father. How do you know what a man is, how a man does things, if you’ve never closely observed one. Even if a father is deceased, like in the case of my dad, they are usually close familial bonds with other men in the family like uncles, grandfathers, cousins and even my dad’s navy buddies that made up for the loss of my dad. In many cases with men raised in single mother households where the father is totally absent, the guy is raised exclusively by women. I’m not saying anything bad about women or single mothers, I’m saying an absent father can cause a lot of trauma for a boy growing up. Some of that trauma from abandonment can be doled out onto women in the form of emotional, verbal, or physical abuse. It may not happen but why take the chance. I know it may seem harsh to tell women not to date or marry men who have no relationship with their dads but really the ones who have a relationship are bad enough sometimes, why stack the whole deck against yourself. I know single moms it may be harsh to hear, but no I wouldn’t condone nor recommend that my beautiful nieces date a guy with no dad. I know it’s not always your fault but unless he’s had some serious therapy for the issues that the emotional abuse of abandonment can cause, I’m gonna give that possible pairing a big hell naw! I have a husband who has a great dad and husband, which is one of the reasons he’s a great husband and why I’m thinking about making him a father. But without that, we wouldn’t have even dated, less known got married. I try to live in the real world, in fantasy land no matter how you were raised everyone comes out fine. In the real world there are some fucked up people, be on the look out for them. 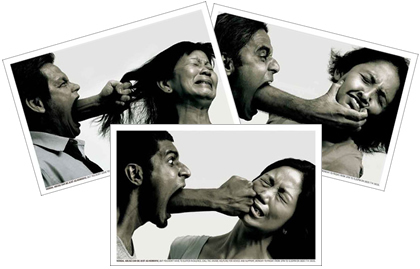 There are many recognized forms of abuse in relationships, physical, verbal and sexual but all those forms start with the least recognized form of abuse, emotional. In conjunction with the online magazine Beyond, Black & White article ‘The BB&W Panel of Judges Have Spoken: Innovative Skincare Gives You Bangin’ Summer Skin” my glowing review and glowing skin from Innovative Skincare. Now you must know I hate all the obnoxious posts about the natural hair transition, if you doing it just do it. The endless debates, explanations of why and discussions of your new found freedom, along with the constant pictures of ‘oh look my hair grew a millimeter’ is too much for me. This will be my first and last post about me transitioning. I’m only doing this one to speak about some products to use. I didn’t want to cut all my hair off, I did that 3 other times, twice due to stress. You know I was going to do this a little while back but I was having a stressful moment and I’m glad I didn’t do it in a moment of stress then regret it the next day. My new discovery is I’ve found that I didn’t need to do a ‘big chop’ I could just transition, which I was actually almost did a year or so ago after taking out braids. I just had no idea what to do with it while it was transitioning. I have now figured that out, I took my braids out about a week ago and I was loving the look of my hair. I decided right then and there to go back to natural hair but I didn’t want to cut it. I had to wash it after I took down the braids, what was I supposed to do? 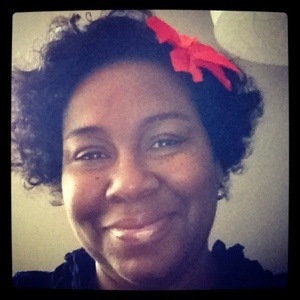 A twitter friend sent me a great YouTube video of a woman doing a ‘braid out’ I was so gleeful. I could get the wavy look and have something to do with my hair while it transitioned to natural. I’m almost 5 months no perm, I figure I’ll just be doing other styles or protective styles then cut about an inch or so off the ends. My ends are going to have to go. Right now, I’m doing the wild curls with foam rollers and styling spray. Now since I’ve made this decision and looked at trying to find some of the products suggested in the YouTube videos, I was shocked and a tad insulted. I’m not going to lie I think many of the folks who make products for natural hair are just gouging women. Many know it’s a trend among black women and of course we’re wiling to pay anything for our hair. Now it seems the trend with natural hair is to make it curly, like the black women in commercials. Y’all know what I’m talking about. I hate to say it but black women are still getting screwed in many instances by the natural hair care companies too. If you’re gonna do it just enjoy what’s on your head. I do the rollers for curls because I know that’s the only way I’ll have curly hair. I’m not using overly priced products in my hair, my hair products don’t have to be 100% natural from berries and roots, I’m not anti-chemical. Hell, as a diabetic chemicals save my life. All I needed from the product is that it be a sulfate-free, alcohol/paraben-free styling products. I found that in L’oreal’s Ever line of products, love them and they smell good too. You can also find them at any store Walgreens, Wal-Mart, Target or your local regional pharmacy stores. They are priced between 5 and 11 dollars, so need to sell your kidney to keep your hair healthy. 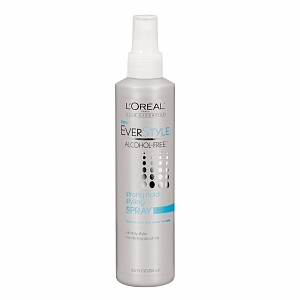 Also for the ladies with relaxed hair their EverSleek line works fabulous I know because I used it. My hair is wild and crazy and I’m wearing it like this for the remainder of the summer with flowers or braided hair with flowers. 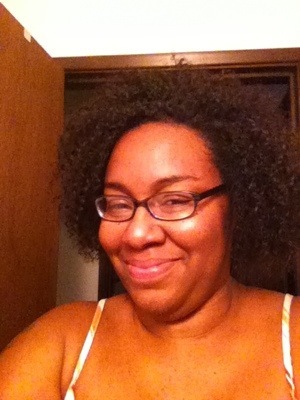 I certainly love my hair and love that I’m going natural but I have no intention of letting my hair define who I am. It’s just hair, knowing me I’ll be back to relaxer when my mood changes. 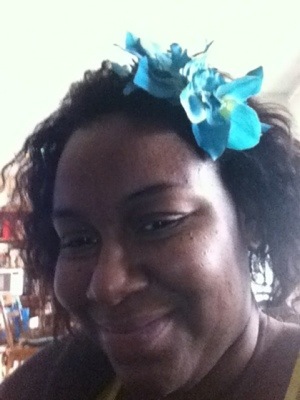 These are some shots of my now transitioning hair, also the products I use in my hair. Now they may not work for you but if they do great, if not keep trying I had to keep trying till I found these. Hey, just enjoy what’s on your head and have fun with it because as I say there is nothing magical about hair. 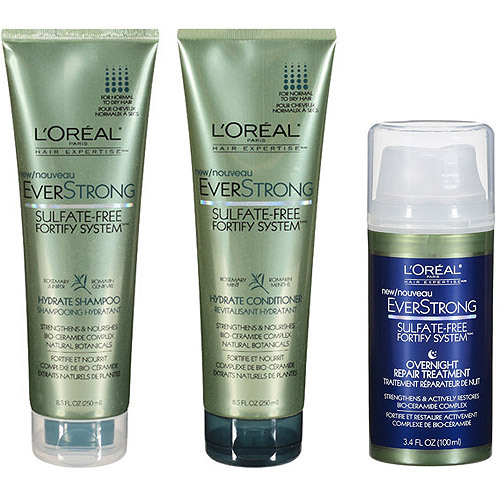 This is EverStrong is a fortifying/strenghtening shampoo and conditioner. The overnight repair treatment is great, you can use it on dry hair. It’s great for natural or chemically treated hair. 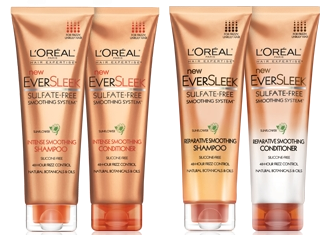 EverSleek is for chemically treated/dry hair. When I was relaxing my hair I used this. 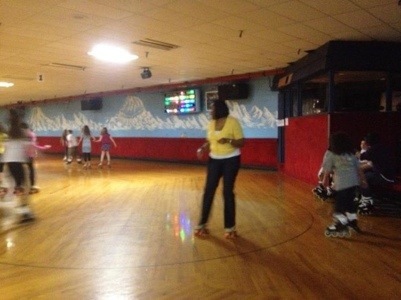 I use EverStyle for my roller set, works great. But don’t get too happy with it, 2 0r 3 good pumps at the recommended distance 8 to 10 inches works great. 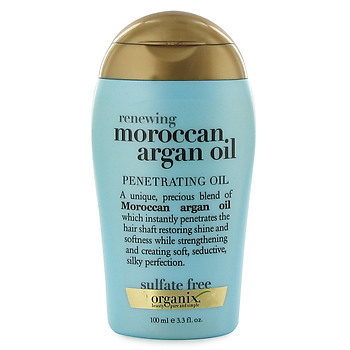 I use Moroccan Argan Oil to moisturize my hair, I put in my freshly shampooed and dry hair. Love this stuff too, smells good, and actually great on your skin keeps it soft. 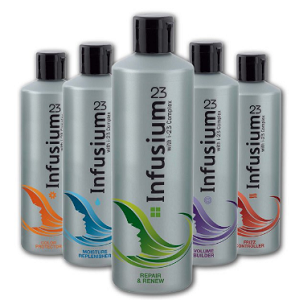 I use Infusium 23 Leave-In Treatment on occasion for my split ends, I’ve been using this stuff since high school. Always worked great for me.